I've been looking for the perfect recipe for these giant dried fava beans I discovered one day at the Indian specialty market. I've never cooked dried beans before, but I decided to give it a try as they aligned with my goal of buying food in its natural state whenever possible to retain maximum nutrients. Also, I had read that the soaking-process involved in cooking beans reduces its gas-producing carbohydrates. 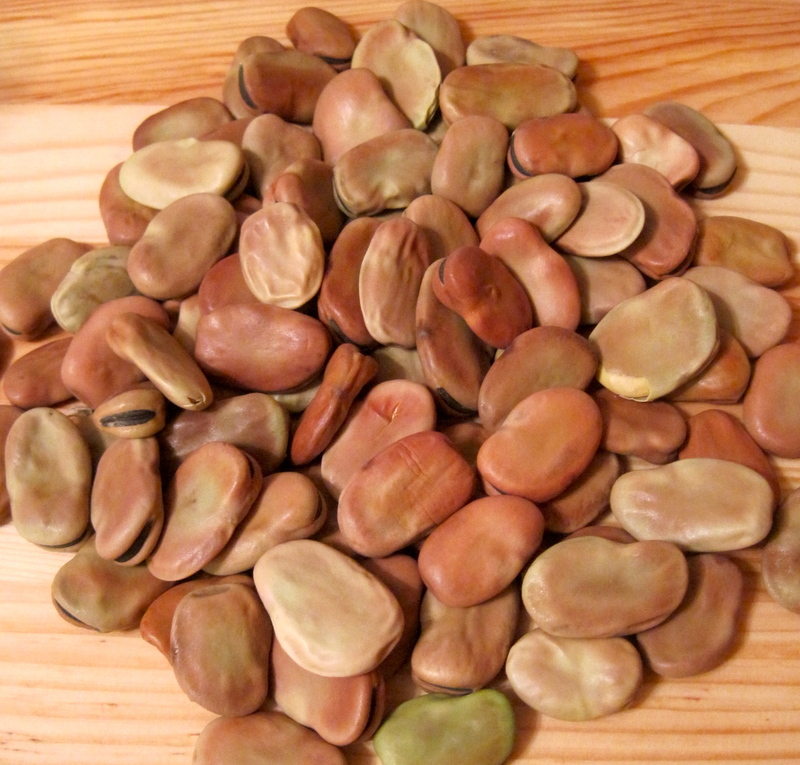 These spring-fresh beans were the key ingredient for Bissara, a Moroccan Fava Bean Dip. This simple but tasty dip is accented with chopped parsley and lightly flavored with lemon juice, olive oil and cumin spice. I served it with these Homemade Pita Chips for a nice crunch, and you can use vegetables such as carrot sticks, jicama and sliced red pepper to achieve the same texture. 2. Prepare the dip: In a blender or food processor, combine half the beans, 1 tbsp water, and the lemon juice. (Add more liquid if you prefer a thinner dip.) Process, scraping down the sides with a spatula, until the mixture is fairly smooth. Add the remaining beans, oil, salt and cumin, and process until smooth. Continue to add water if bean paste is too dry. Transfer to a serving bowl and stir in the parsley. *Peeling the beans can be extremely time-consuming if you don't do it right. They should be peeled just like you eat edamame- squeezed out of the shell until the bean pops out. I loved the taste of the home-cooked fava beans and thought the dish was wonderful when it was done; however, it was certainly labor-intensive with over 24 hrs of preparation! An alternative for those in a time-crunch might be to make this recipe using canned cannellini or Great Northern beans- you wouldn't get the same fresh, buttery flavor, but I'm sure the dip would be a hit nonetheless. Preheat oven to 350 degrees. Line a baking pan with tin foil, and spray generously with the olive oil spritzer. Cut whole-wheat pitas horizontally along folded edges to form 4 rounds total. Then cut each round into 8 wedges like a pizza pie, so you have 32 pieces total. Place triangles in a single layer on the baking pan, spray with another round of olive oil, and sprinkle lightly with paprika and chili pepper. Cook for 10-15 minutes, or until pita chips are crisp and brown. Cool and serve with the Fava Bean dip! I love fava beans. This sounds wonderful! dips=delicious. soooo yummy! never even heard of fava beans before!